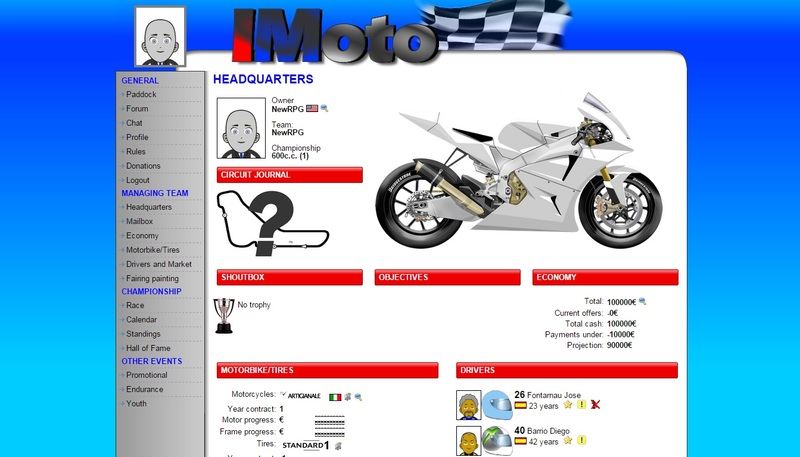 IMoto is a text-based browser game about motorcycle racing. Headquarters is a place where you can see your motorbike, drivers, earned trophies and total cash. Under Race section you can see drivers skills, for example the level of aggression, driving in wet conditions or total experience. Calendar gives you a clue about upcoming races, weather conditions and approximate idea of the track. Hall of Fame lets you to be aware of top drivers so win races to also end up in those rankings.